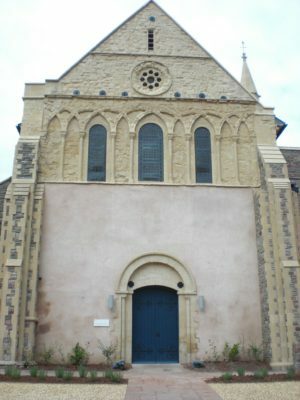 St James Priory is the oldest building in Bristol. It is a monument of immense historical and architectural importance. Explore the fascinating history and heritage of St James Priory – the oldest building in Bristol still in use today. Robert Fitzroy, Earl of Gloucester and illegitimate grandson of William the Conqueror, founded the Priory of St James in 1129. It has been used as a place of worship for almost 900 years. Robert developed the town of Bristol into a major provincial capital. Between 1122 and 1147 he rebuilt the castle as an imposing stone monument. and at the same time founded St James Priory. During the Anarchy, a period of civil war in England between 1135 and 1153 following the death of Henry 1, Robert supported forces loyal to the Empress Matilda (Henry’s daughter) against those of Stephen (Henry’s nephew) who proclaimed himself king. Bristol was the centre of Earl Robert’s resistance against Stephen who was for a time imprisoned in Bristol castle. In the medieval period, St James Priory, a daughter house of the Abbey of Tewkesbury, was home to Benedictine monks. They lived here as a community of brothers, devoting their lives to worshipping God and caring for the poor and the sick. In the Middle Ages the Priory was a major landowner with its properties and influence spreading widely from the north of the town to the eastern approaches and even to the commercial dealings of Bristol. The spiritual needs of the locals were supplied by the priory and the Nave served as the parish church. It was the parishioners who financed the building of the church tower in the 14th century. The Priory was dissolved during the reign of Henry VIII, and many of its buildings were demolished. Only the west end survived as a smaller parish church, and this is still used for worship today. Discover some of the Priory’s fascinating stories here, or find out about our educational programme for schools. Why not download our MP3 tour? This will guide you personally around St James Church, highlighting some of its most spectacular features, unlocking the secret history of the Benedictine monks that once worshipped here and exploring its modern role as a place of personal healing and recuperation.